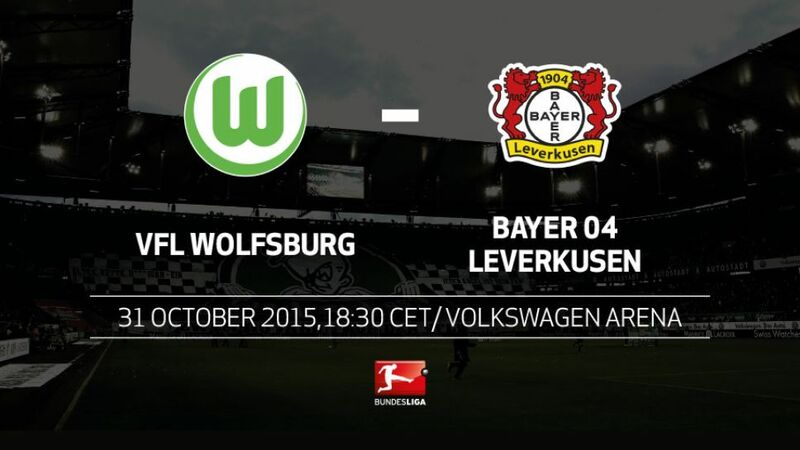 The Volkswagen Arena will be packed with stars when VfL Wolfsburg host a rejuvenated Bayer 04 Leverkusen side on Saturday evening (kick-off 18:30CET/17:30GMT) in one of the most eagerly-awaited ties of the weekend. Leverkusen are just a point behind their hosts going into this game, so would leapfrog them in the standings with a victory.Wolfsburg were the only team Leverkusen lost both league matches to last season, conceding a whopping nine goals in the process.The last time the sides met, on Valentines Day earlier this year, it was the highest-scoring encounter of the season, with Wolfsburg running out 5-4 victors.There has never been a 0-0 draw in the 37 Bundesliga fixtures these two teams have contested to date.Wolfsburg coach Dieter Hecking and his Leverkusen counterpart Roger Schmidt were team-mates at TuS Paderborn-Neuhaus in the 1994/95 season. They were also colleagues from 2000-2001 at SC Verl, where Hecking was coach and Schmidt his team captain.